By David Konow on Jan. 31, 2014 at 2 p.m.
One of the most thrilling things you can see in a movie is a well-crafted car chase, and there are many classic chase scenes that have laid down the groundwork for what we see in today's action movies. But what makes a great chase scene and how did the great action directors put them together? One of the most thrilling things you can see in a movie is a well-crafted car chase, and there are many classic chase scenes that have laid down the groundwork for what we see in today's action movies. Long before we had Fast and Furious, there was the comic insanity of Keystone Cops, and the incredible chase segment in the seminal western Stagecoach, directed by John Ford, just to name a few. 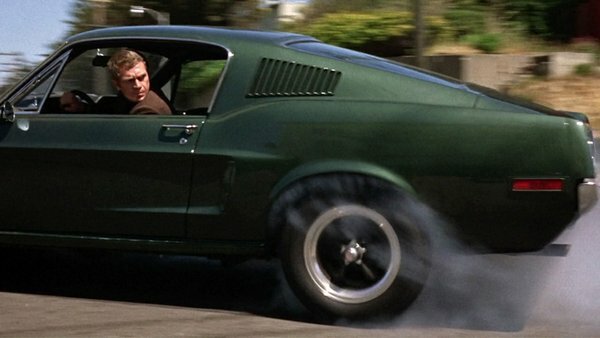 By 1968, the Steve McQueen classic Bullitt broke new ground by shooting the cars at actual speed instead of speeding up the camera, and the modern car chase scene was born. So what makes a great chase scene? And how did Hollywood's masters put them together? That's what we'll try to deconstruct today. Bullitt was directed by Peter Yates, and William Fraker was its cinematographer. Yates had previously done a picture called Robbery, which opened with a car chase, and Fraker loved it. He asked Yates how fast the cars were going, and Yates said they couldn't go over 60-65 miles an hour. "That night we made the decision that we weren't going to speed up the camera on Bullitt," Fraker said. "We're gonna shoot 24 frames, honest, and we're gonna speed the cars up. Our idea was to take the audience on that trip, which really worked beautifully." McQueen did a lot of his own driving, and for those shots, Fraker was on the floor of the passenger side, filming Steve at the wheel. "The fastest we went was 124 miles per hour," Fraker continues. "I was sitting about six or eight inches off the ground in the car, goin' about 124 mph, and the centrifugal force of the car wouldn't allow me to move right or left! Steve McQueen is coming along side, I've got to get his close up, and I fought and fought, thinking, I gotta get the shot!" In 1971, the bar was raised again for great chase scenes with The French Connection. It was never specifically said, but the intended goal was indeed to take the Bullitt chase even further. The French Connection was based on a true story, a major bust where 120 pounds of heroin, worth more than $32 million, was seized by the authorities. As director William Friedkin told the New York Times, "We felt, at the time, that story had everything for a great police thriller except for one thing, and that was a great action scene." Friedkin recalled the car was going 90 miles an hour, and he was shooting behind the stunt driver in the back seat. Friedkin claimed there was no planning of the chase scene, they just tore through the city, but producer D'Antoni recalled the scene was planned out block by block with storyboards, the same way the Bullitt chase was orchestrated. He also recalled there was a car crash that happened during the shoot, "We rammed the hell out of the poor guy, but luckily nobody got hurt." D'Antioni feels what made the chase scenes in Bullitt and French Connection was "the atmosphere of reality." "I think audiences watching chase scenes of my era felt they could actually be the ones driving the car. There are car chases I've seen in recent movies that are very good, flying through windows and roof to roof, like in the Bourne Identity, yet they tend to escape the reality of my day." Soon after, the major studios wanted more car chases in films. D'Antoni made another gritty crime thriller, The Seven-Ups, which also starred Roy Schieder, and after the success of The French Connection, the studio made D'Antoni put in a chase scene that wasn't in the film's original story. With Vanishing Point, which was also released in 1971, director Richard Sarafian made the car the star, and it cemented the Dodge Challenger's status as one of the coolest cars in cinema history (So much so, that Tarantino borrowed it for Death Proof). Sarafian was originally going to direct the skiing film Downhill Racer, and he wanted audiences to experience the speed and thrill of the sport. Michael Ritchie (The Bad News Bears) directed the film instead, but Sarafian took the same concept he was planning and transferred it to Vanishing Point. Vanishing Point was an on-the-road picture that followed in the wake of Easy Rider, and to scout locations, Sarafian took a similar journey as Kowalski, the anti-hero of the film. He started out in California, drove through Taos, New Mexico, and Denver, looking for roads and towns off the main thoroughfare. Sarafian shot still pictures throughout the journey, "so we were able to study the lighting, the various moods and points of interest that was part of the overall mural of the film. I was getting the sweep of the country while organizing some of the action sequences in my mind." For Sarafian, the keys to a great chase scene include "having a great cameraman, spending enough time on preparation, and trying to get into the essence of what the chase is for." And where a lot of chases can be mindless smash 'em ups, Sarafian feels humanity is important too. Audiences rooted for Kowalski, and as Sarafian continues, "It's not just a piece of steel racing across a piece of tarmac. There's somebody in that car that hopefully the audiences will care about." Duel, where Dennis Weaver is stalked by an evil, unseen truck driver, was inspired by a real incident where writer Richard Matheson was nearly run off the road by a trucker. Like many Steven Spielberg stories, the protagonist of the story, David Mann, is an everyday guy caught up in an extraordinary situation, so you could believe it could happen to you as well. Location plays a big part in the effectiveness of a car chase. With Bullitt, D'Antoni got lucky because Steve McQueen wanted to stay on the West Coast to shoot the film. The producer first scouted Vancouver, then Seattle, and he finally wound up in San Francisco, where he took some pictures of potential locations. There was nothing in the script about big hills or crazy winding streets, but once McQueen saw D'Antoni's photos of San Francisco, he said, "That's the place, I'd like to do it there." For one of the most underrated movies of the seventies, The Driver, director Walter Hill picked Downtown L.A., for his location. Hill wanted to capture the seedy side of Los Angeles, and it's a great place to shoot car chases because it's practically deserted at night. Frank Marshall produced The Driver, as well as another Walter Hill action classic, The Warriors, and both films were mostly shot at night. "You have to adjust your schedule," Marshall says. "You have to equip your apartment with blackout shades." And for any chase scene, heavy-duty preparation is crucial. As John Landis said about the insane car chases in The Blues Brothers, "You can't take 35 cars going 100 miles an hour in Downtown Chicago without planning. You plan chases like you plan for a battle, with miniature cars, maps and drawings." As Steven Spielberg recalled in the Making of Duel DVD featurette, he insisted on shooting on location, just like he insisted on shooting Jaws on the water. He kept up with his tight TV schedule by shooting with multiple cameras set up on a mile stretch of the road, and he also drew up an overhead map of the location. "It was kind of like an architect's overhead plan of all the highways in Pear Blossom, Soledad Canyon, Sand Canyon, out in Palmdale [CA] where I shot Duel," Spielberg recalled. "It was a huge mural, and it was wrapped around the entire motel room that I was given to stay in at the time. Every day I was able to make notes on the map, and plot what the menu was gonna be that I need to achieve in order to stay on schedule and make a really good movie. This overview helped me understand where I was, so when I jumped out of continuity, I knew exactly where I was." "Those chases were story points in the movies, they weren't just action for action's sake." For The Driver, Marshall would draw up a "master schematic" of where the streets where, where the cars would come from, and where the crew would be parked. "We did all our location scouting at night," Marshall explains. "We had these big stunts that we would choreograph out on paper, find the location they would work in, and adjust accordingly. It was similar to how we did the Bourne chases. Those chases were story points in the movies, they weren't just action for action's sake." For the truck chase scene in Raiders of the Lost Ark, Lawrence Kasdan's screenplay originally had it take place on a mountain road, with the truck careering near the edge. The location scout couldn't find any usable mountains in Tunisa, where Raiders was shot, so it was switched to the desert. Raiders was an homage to the classic serials of the '30's and '40's, and the film was structured like a serial, where a cliffhanger took place every fifteen minutes. Raiders producer Howard Kazanjian had previously worked with Alfred Hitchcock, where he also learned a lot about effective chase scenes and suspense. "Music helps with a chase scene," he says. "Quick cutting helps. Hitchcock used to say to me, 'Once you're inside a car, and the car is careening down a road and it's lost breaks, it's hit the side guard rail and is about to go off the cliff, you gotta stay within the car. You can't suddenly have a camera out in the pasture watching the car go left to right, because you lose the intensity of being inside the car.' In Raiders we would cut out, we would go to long shots, but it's all how it's designed how it's edited, how it's put together. 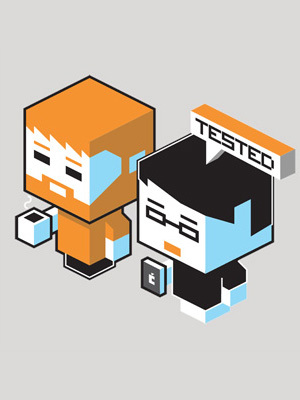 It's all design." So to recap, if you want to direct a great chase scene, here are some important keys from the experts. Make sure you're heavily prepared and everything's planned out as much as possible. Make sure you have a great team to help you put it all together. Make sure you have great locations. Try to keep it as realistic as possible so that the audience can feel like they're the ones in the driver's seat. And while you should always go back to the classics for inspiration, it's important to bring something of your own to the table as well. "I think there has to be unusual things you haven't seen before in a chase scene," says Frank Marshall. "That's always the challenge, what are we gonna do that nobody's seen before?"